Sports Academy does Dancing on the Tracks! On Friday 9th June Sports Academy George hosted our ‘Dancing on the Tracks’ fundraising event at the Outeniqua Transport Museum in George. Over 500 guests arrived dressed in their finest attire and excited for the night of entertainment ahead. Ten brave couples took to the dance floor in a bid to win the votes of their guests, with the three top money raisers progressing to the final. 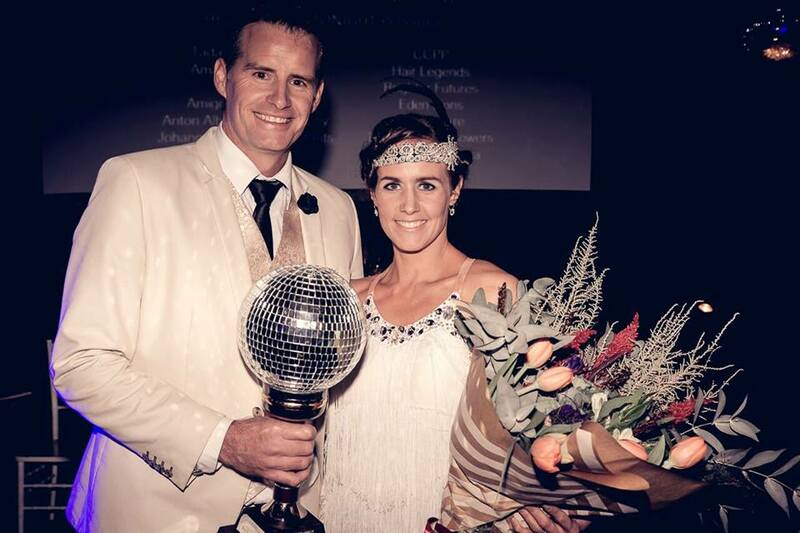 The dancers, coached by Randall Raubenheimer from South Cape Dance Academy and Wehan Van Jaarsveld and Simoné Galand from Outeniqua Dance Academy, gave spectacular performances of a wide range of dances from the Waltz to the Paso Doble. 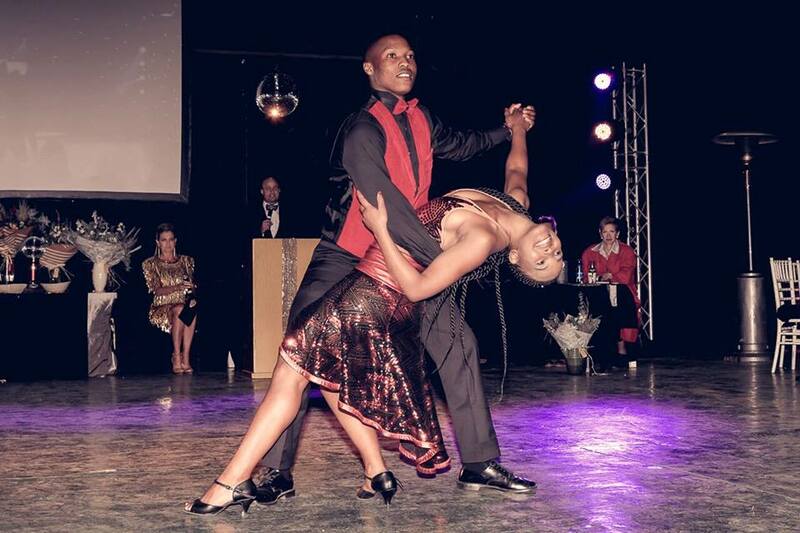 Sports Academy students, Ano Jafta and Lifa Nqayi even joined in on the action with an incredible Latin Salsa. South African pop star Elvis Blue joined us on the judging panel alongside Scott Rickard who danced in 2016 and professional dancer, Robyn Alexander. The standard of dancing was second to none with very little between the top three couples. Garry and Tarryn Hampson, Riaan and Suzelle Bezuidenhout and Sports Academy’s very own Lifa Nqayi and Ano Jafta made it into the final with Garry and Tarryn taking the crown for their amazing rendition of the Charlton. 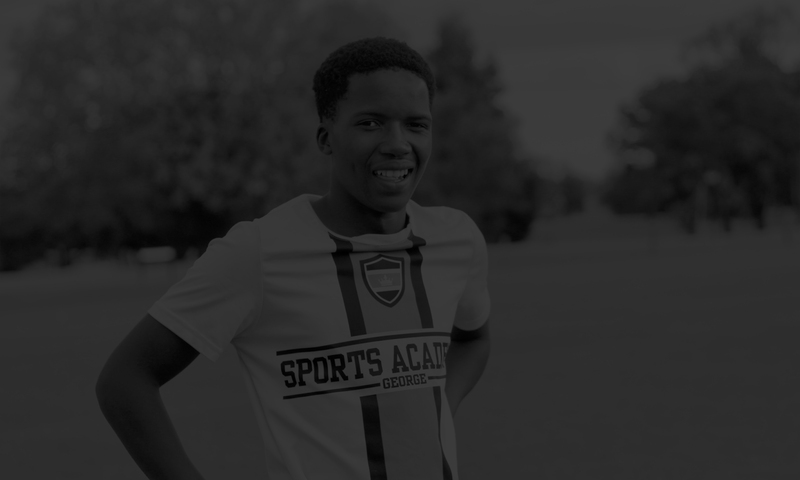 The event was a huge success and raised an incredible R590,000 towards the work of Sports Academy.